A trusty companion is the staple of today’s role-playing games. Whether it’s the derpy Dogmeat from Fallout 4, or the reliable Roach from Witcher 3, no great adventure is complete without one. Their silence makes them seem invisible at times, and only when they’re gone do you begin to appreciate their importance. Your relationship with your gaming rig is one of the same. Most of us forget about how hard our rigs must work to fuel our gaming marathons. Just as the characters you control in games, if you want to leave a proper legacy, you must ensure that your PC is up to par. All good PCs begin with good components. Among the list of essentials, there are two critical components gaming PCs can’t thrive without: the CPU (central processing unit) and the GPU (graphics processing unit). AMD is a veteran at making both, and I dare say that a good chunk of its engineers are also avid gamers. How do I know? Through the passion seeping through their chips. 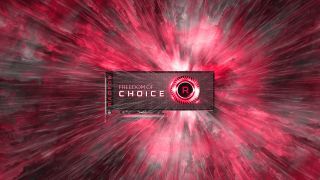 AMD is actively working with its partners to bring you the best hardware and ensure that gamers have the freedom of choice. Its unrivaled quality and performance ranks it at the top of any system integrator’s favorite list. I’ve highlighted some of my favorite AMD builds from a few legendary system integrators to demonstrate their prowess. If you want to tweak your setup, you can do so at each’s respective customization pages. The possibilities are endless. The rigs in this category are decked out with everything to power games at uber resolutions. As such, it’s only natural that AMD’s top-end 2nd Gen Ryzen processors and high-performance Vega graphics be included. The GX 14 Savage is the best system Xotic has to offer, harmonizing the blazing performance of AMD’s 2nd gen Ryzen CPU and its flagship Vega 64 graphics. Since it features a massive side panel, we thought it would be apt to include an RGB lighting kit for $49 in our build. Xotic PC also offers handcrafted braided cables with all GX 14 Savage builds. In the spirit of AMD, we chose to use its iconic red and black color scheme for ours. The CybertronPC CLX Set Ryzen 7 Ultra is founded on AMD components to begin with, thus saving some time with configuration. With a mid-tower chassis, it’s a little more space-conscious than the Xotic PC GX14. Though it skips out on more boutique customization features, gamers can enjoy the full power of AMD’s hardware at a much more palatable price point. Rigs in this category strike a balance between performance and cost. They’re tailored to play games comfortably at 1080p and 1440p. AMD’s 2nd Gen Ryzen 5 CPUs and Radeon RX 500 series graphics cards are perfectly suited for this occasion. The AVA Direct X470 leverages AMD components for both the GPU and the CPU. On top of being an excellent performer at 1080p and 1440p resolutions, its tiny footprint also means that it can fit into tighter spaces. This is an ideal rig for cramped college dorms. AMD’s recent investment in improving their CPUs with the new Ryzen models have enabled AVADirect to make some very gamer friendly and budget friendly systems with outstanding levels of performance. AMDs GPUs are still up and coming but with the moves I have seen them make, I have no doubt we will have some great options for gamers from the AMD camp for a long time to come. For the CyberpowerPC Syber L, I slightly dialed back on CPU performance to bring you a liquid cooler and a blazing fast PCIe SSD. Besides its processor, it is in every way as capable as the AVA Direct, just in a larger formfactor. In addition to an overhauled CPU architecture, AMD’s 2nd Gen Ryzen 3 CPUs come with significantly upgraded integrated graphics. The boost in performance brings unprecedented value to budget builders. Using the same cores as AMD’s enthusiast Radeon RX Vega GPUs, the 2nd Gen Ryzen 3’s graphics performance is a momentous leap compared to all others. By forgoing a dedicated graphics card, I was able to greatly reduce the price of the Xidax X-2 Outlaw. Who says budget can’t look suave? Despite its name, the Xidax X-2 Outlaw actually looks very sleek and professional. The CUK Continuum features a gorgeous infinity mirror front panel rarely seen in budget boxes. Its sports the 4-core Ryzen 3 2200G CPU and a powerful AMD Radeon RX 580. With good CPU performance and excellent graphics performance, the value presented here is hard to resist.